Last week, the rapper and impulsive ranter Kanye West appeared on Saturday Night Live sporting his infamous ‘Make America Great Again’ hat. After his performance, he delivered another rambling speech to the crowd and stunned cast members, which elicited a number of boos and dismissive comments from those watching. Kanye then doubled down, however, later posting a selfie from his private jet still in the MAGA cap, with a caption that ended with the sentence: ‘We will provide jobs for all who are free from prisons as we abolish the 13th amendment. Message sent with love’. Now, most things Kanye does these days attract a certain amount of criticism, sometimes they can be laughed off or at least ignored. However, his comments about slavery and the 13th amendment have enraged many people who could not just stay silent on the matter. After all, the 13th amendment declared: ‘Neither slavery nor involuntary servitude, except as a punishment for crime whereof the party shall have been duly convicted, shall exist within the United States, or any place subject to their jurisdiction.’ Kanye made quite a statement. 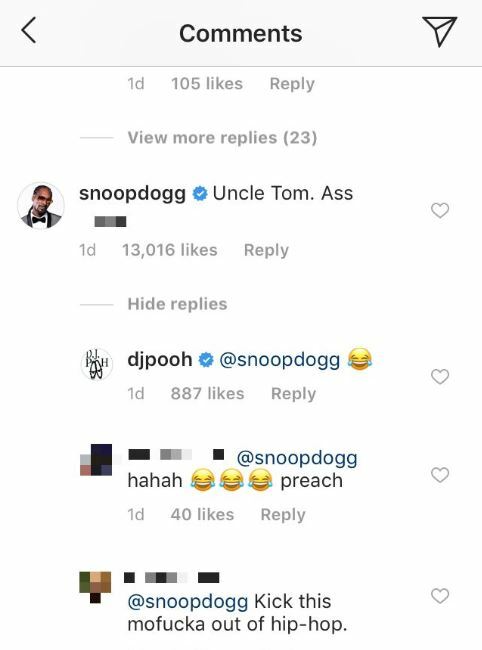 One such person to take issue was Snoop Dogg. 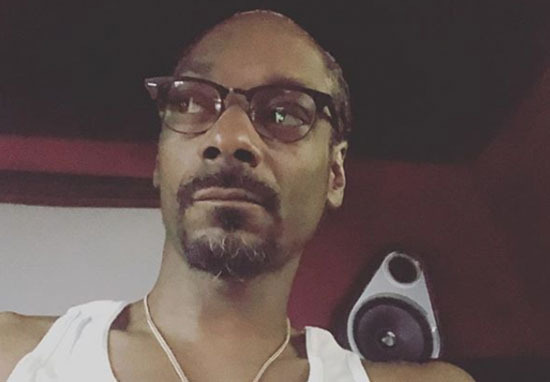 Snoop has clearly stated his disdain for Kanye’s antics, speaking out against him and Trump on radio recently. He also couldn’t stop himself commenting on Kanye’s MAGA post. 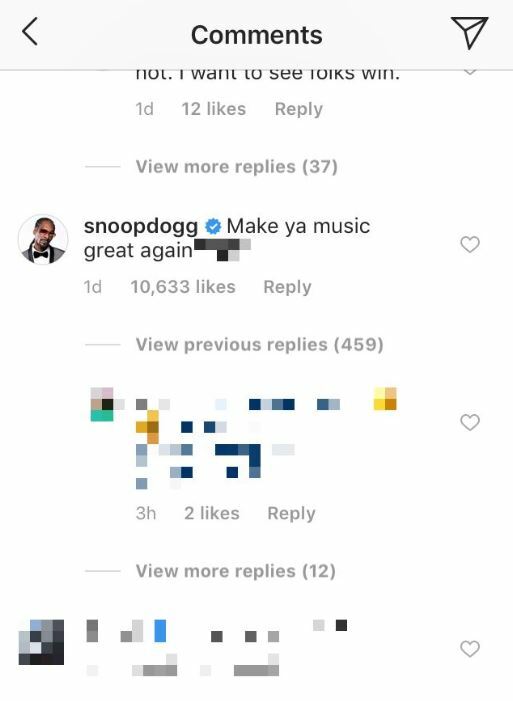 Snoop wasn’t the only musician to speak out in response to Kanye’s photo and caption, however. Singer Lana Del Rey also commented on the post, with a much more elaborate and heartfelt plea to the rapper. Trump becoming our president was a loss for the country but your support of him is a loss for the culture. I can only assume you relate to his personality on some level. Delusions of Grandeur, extreme issues of narcissism – none of which would be a talking point if we weren’t speaking about the man leading our country. Message sent with concern that will never be addressed. While Kanye later tried to clarify his message, saying ‘not abolish but let’s amend the 13th amendment’, it seems the self-inflicted damage was done (as seems to happen quite often with him). Captain America himself, Chis Evans, also weighed in on the issue, with an eye-opening tweet that seems as relevant to Trump as it does to Kanye. There’s nothing more maddening than debating someone who doesn’t know history, doesn’t read books, and frames their myopia as virtue. The level of unapologetic conjecture I’ve encountered lately isn’t just frustrating, it’s retrogressive, unprecedented and absolutely terrifying.